Mitchel evan and the Mangrove and their matching suitcases. 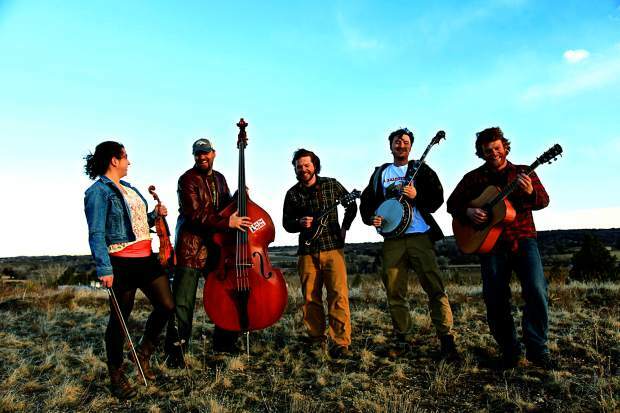 Mitchel Evan & The Mangrove are a Boulder-based folk-rock trio who “bring together an eclectic sound of roots, rock, and blue music accompanied by tasteful harmonies and powerful lyrics.” We checked them out once at The Laughing Goat and it was a good time. Go grab your post-workday brew at Still and dance with these boys. Katie and Dustin of Many Mountains. Many Mountains consists of Katie Rose and Dustin Moran, who started playing together in Salt Lake City, UT before they moved to Colorado five years ago. They’re a couple and a musical duo who are going to bring some soft, sweet sounds to the LG tonight. Perfect way to jumpstart your evening on Pearl. Go check them out and listen to their track “Distant and Mythical” here. THEY WILL SHAMROCK YOUR SOCKS. See you at zee shows Boulder!